If you are looking for a pleasant and relaxing way to lower your blood pressure, reduce stress and minimize the chances of depression, you may be surprised to hear that gardening can be the answer. Perhaps it isn't so surprising, as most of us know just how relaxing it can be spending time in a beautiful garden, and doing so really does help you to feel relaxed, calm and positive. And if you like the idea of playing your role in looking after the environment as well as keeping healthy, you may want to consider organic gardening. The basis of this increasingly popular pastime is the use of naturally sourced products to grow vegetables and fruit. The appeal of organic gardening is that it does not rely on harmful fertilizers and chemicals to grow organic foods. Since you are not using any harmful chemicals, you are not exposed to any risks such as ingesting pesticides and damaging chemicals. Although you may find it easier to go for the nearest garden store and buy the chemicals you need to use in the garden, but it is nearly not as fulfilling than using organic means for gardening and watch your work grow. As you see your garden develop through your own work it is a satisfying feeling and you will have more fun by doing things on your own than you thought was possible with gardening. If you choose to start an organic garden, you will be significantly reducing the risk of cancer and many other health issues that are caused by harmful pesticides and chemicals for future generations. Given that soils in organic gardens have a much higher content of organic matter, the risk of topsoil erosion is very minimal. Having no pesticides in these gardens helps keep the local water supply clean and safe to drink, and an absence of chemicals and pesticides is far better for small animals, birds, and insects too. You might be surprised to find that purchasing organic fruits and vegetables from a local supermarket or produce store can sometimes cost 50 percent more than what you might spend by growing your own produce, which makes organic gardening a very economical and appealing choice. Purchasing chemicals for gardening from the store can be very costly as well; you'll find that it much more affordable to simply use waste materials from your garden and kitchen in order to create your own fertilizer and and other gardening solutions. There are even ways to make natural pest sprays that are free of toxic chemicals such as by mixing one tablespoon of dish soap into a single cup of cooking oil. Scattering old, stale coffee is also a natural and effective way to deter pests. 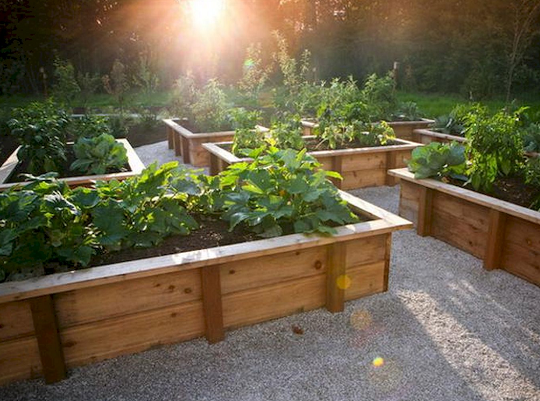 Lastly, as you're thinking about how to create an organic garden, it's important to consider having Raised garden beds. Raisedgardenbeds is using Hatena Blog. Would you like to try it too?